Start off your visit on the 15th (Fri): don't miss a visit to Collins Avenue. To find where to stay, ratings, traveler tips, and tourist information, use the Miami Beach trip itinerary maker . Houston to Miami Beach is an approximately 6-hour flight. You can also do a combination of flight and bus; or drive. The time zone changes from Central Standard Time (CST) to Eastern Standard Time (EST), which is usually a 1 hour difference. In February, Miami Beach is somewhat warmer than Houston - with highs of 79°F and lows of 65°F. Finish your sightseeing early on the 16th (Sat) so you can drive to Orlando. On the 17th (Sun), get in on the family fun at Discovery Cove. On the 18th (Mon), you'll have a packed day of sightseeing: get in on the family fun at Walt Disney World Resort. To find traveler tips, ratings, maps, and tourist information, go to the Orlando trip builder app . Drive from Miami Beach to Orlando in 4 hours. Alternatively, you can take a bus; or take a train. Traveling from Miami Beach in February, plan for little chillier nights in Orlando, with lows around 56°F. Finish up your sightseeing early on the 18th (Mon) so you can go by car to Islamorada. Start off your visit on the 19th (Tue): take a tour by water with Boat Tours & Water Sports, look for all kinds of wild species at Florida Keys Wild Bird Rehabilitation Center, then take in the exciting artwork at Old Road Gallery, then stop by Bella Sol Fragrance Bar and Gifts, and finally view the masterpieces at Michelle Nicole Lowe Art Gallery. For traveler tips, ratings, reviews, and more tourist information, you can read our Islamorada trip itinerary planning site . Traveling by car from Orlando to Islamorada takes 5.5 hours. Alternatively, you can take a bus; or do a combination of train and bus. Plan for somewhat warmer nights when traveling from Orlando in February since evenings lows in Islamorada dip to 68°F. Wrap up your sightseeing on the 19th (Tue) to allow time to drive to Marathon. Kick off your visit on the 20th (Wed): identify plant and animal life at Crane Point Museum & Nature Center, enjoy the sand and surf at Sombrero Beach, and then immerse yourself in nature at Bahia Honda State Park. To see where to stay, other places to visit, photos, and tourist information, refer to the Marathon day trip planning website . Drive from Islamorada to Marathon in an hour. Alternatively, you can take a bus. In February, daytime highs in Marathon are 79°F, while nighttime lows are 68°F. Wrap up your sightseeing on the 20th (Wed) to allow time to take a bus to Key West. On the 21st (Thu), examine the collection at The Ernest Hemingway Home and Museum, then look for all kinds of wild species at Key West Butterfly & Nature Conservatory, then view the masterpieces at Alan S. Maltz Gallery, and finally glide peacefully along the water with some of the best stand-up paddleboarding in the area. 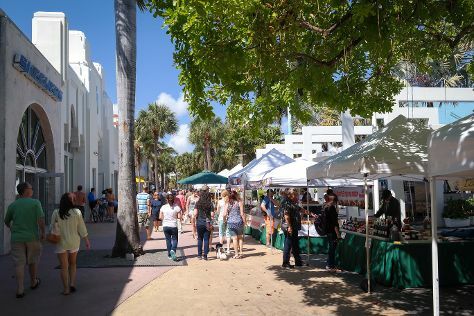 On the 22nd (Fri), you'll have a packed day of sightseeing: hunt for treasures at Sunset Celebration, then take a memorable tour with Tours, then take in the exciting artwork at 7 Artists & Friends, and finally immerse yourself in nature at Fort Zachary Taylor. For other places to visit and tourist information, read our Key West day trip planning website . Take a bus from Marathon to Key West in 1.5 hours. Alternatively, you can drive. Expect a daytime high around 78°F in February, and nighttime lows around 68°F. Finish up your sightseeing early on the 22nd (Fri) so you can travel back home.